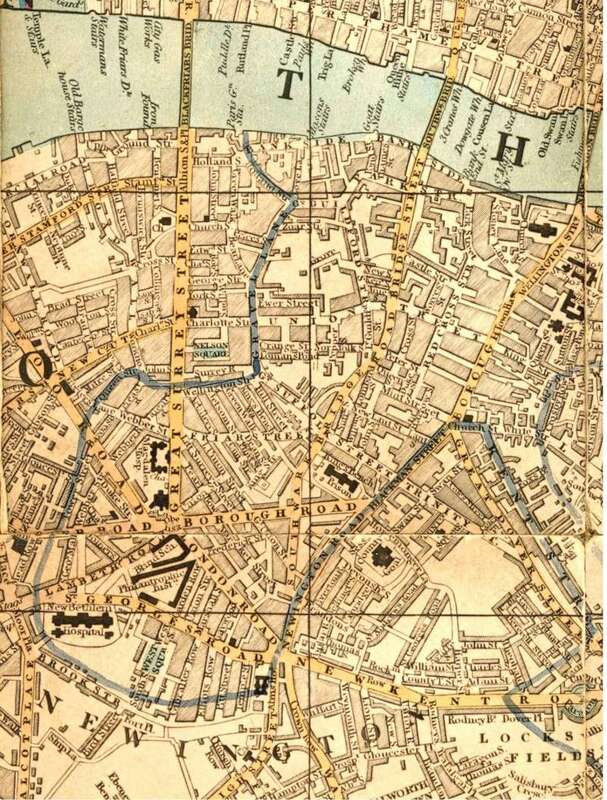 By 1835 virtually all of north Southwark had been developed, new Thames bridges and the draining of St George's Fields 25 years earlier, making this possible. While some of the newer developments were of a grand scale and quality, e.g. West Square, Trinity Square and the Paragon, much newer building was aimed at the working classes. Note the many institutions near St.George's Circus. 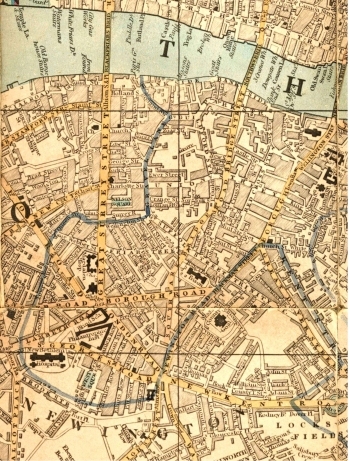 Cruchley's New Map of London, improved to 1835.